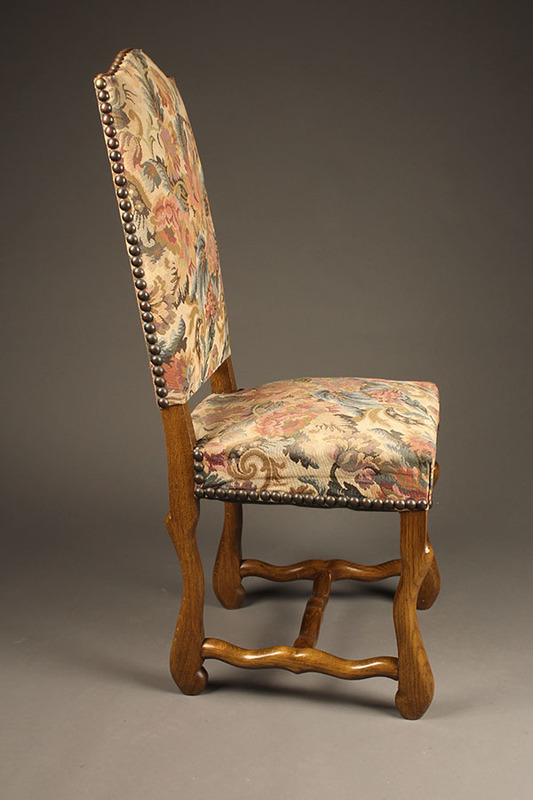 This set of eight French Louis XIII-style oak antique side chairs with tapestry upholstery is in excellent original condition. 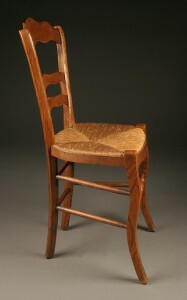 Circa 1920, the French call this style of chairs mutton leg due to the crook included in their construction that resembles a sheep’s leg. 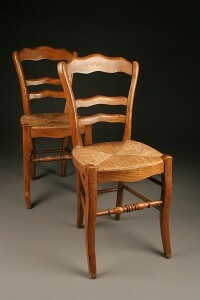 These thick, sturdy pieces feature stretchers at the bottom and a hefty substructure under the seat. 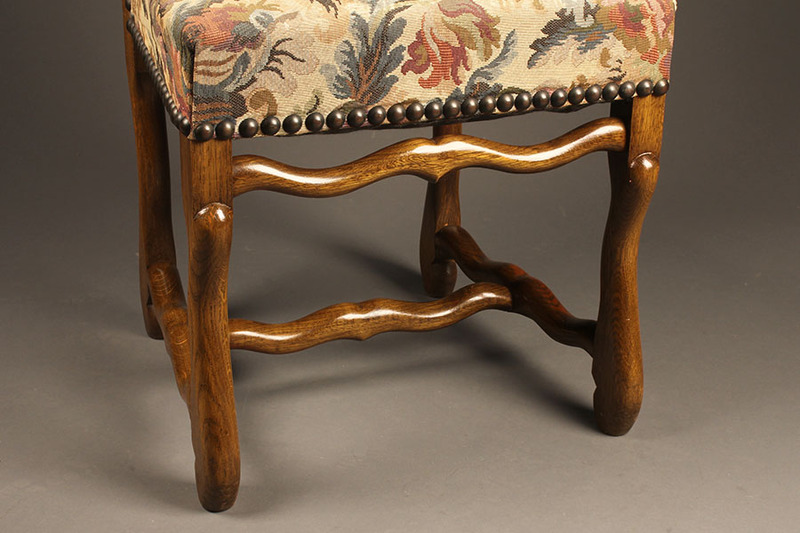 The high arched back and head to head nail trim is very popular today, as are the stylish and interesting lines that cannot be found in recently made furniture. 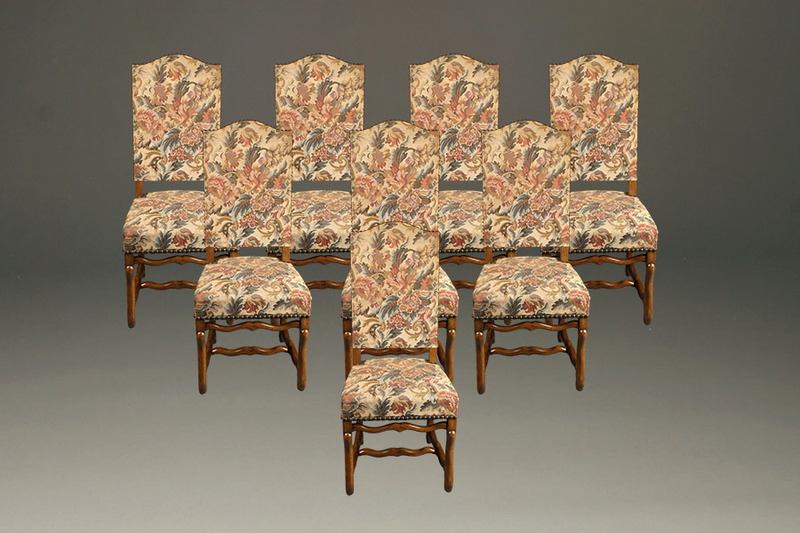 Though many people try to keep the original fabric for its vintage appeal, it can be changed to vary the look. 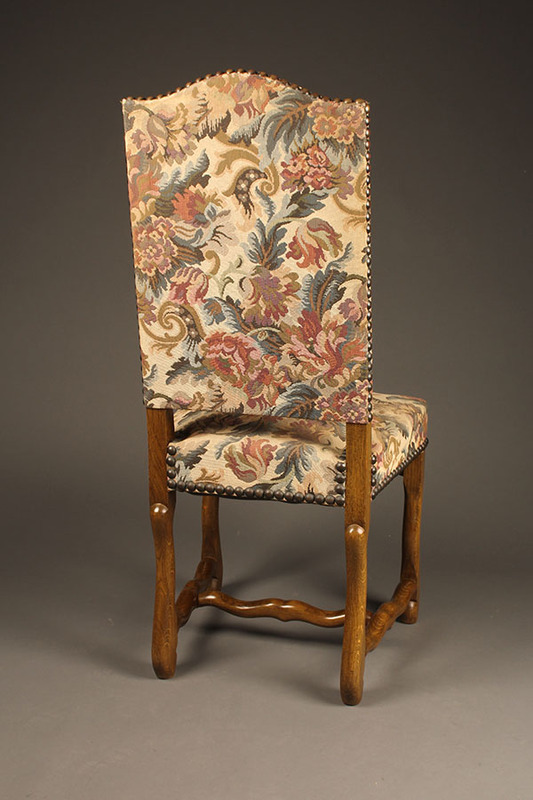 Upholstered pieces also offer flexibility in sizing. 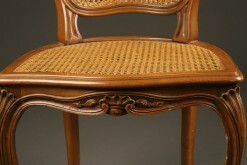 French furniture can seem diminutive to some American sensibilities. 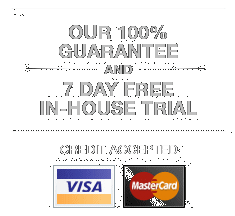 For those people, choosing new fabric also offers the opportunity to build up the seats to increase their scale. 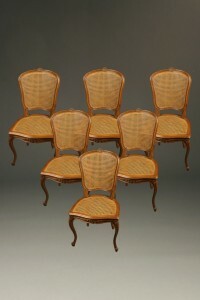 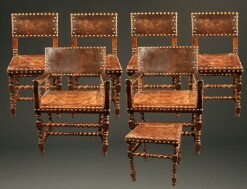 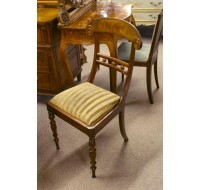 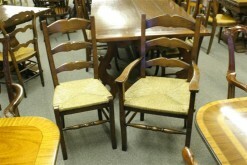 7 piece set of antique 19th century French chairs in oak with leather upholstery.